So I finally fixed my computer and I can post some videos from our trip to Philippines last month. He is playing an instrument made of wood neck and soda can. Filmed in Tagbanua village, Napsan, Palawan island. Here are some photos of project I was working with Jay Bain for Maker Faire this weekend May 19th and 20th. It’s a double tandem bike pair (for 4 people total). They are going to do final assembly and welding on the event. I won’t be there because I am traveling to Philippines. I am flying to Philippines with my wife tonight. From Manila, we fly to Puerto Pricesa, Palawan on May 21st and return to Manila May24th. 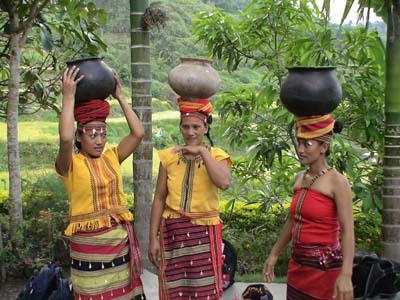 Then, on May 25th we fly to Tuguegarao and take jeepney from there to Kalinga. We fly back to Manila May 28. Next few day we will be spending with Laurie’s cousins in Quezon City and various places around Manila. Finally, we return to San Francisco, June 2nd. I went to see presentation of Tesla Motors. It’s an electric powered sport car. It can do 0 to 60mph in 4 seconds and has radius around 200 miles. Most important is their battery pack which is composed of several thousand standard Li-Ion battery cells and weights around 950 lbs. It takes 3-4 hours to fully charge using 70 amp current (that means, with ordinary home plug, at ~12 amps, it would take you around 24hrs to fully charge the car). Another interesting thing is that, since electric motor (that weights only 70 pounds) can produce enough force at low rpm, it doesn’t really need gear. Tesla roadster has only two speeds and is completely electronically controlled. 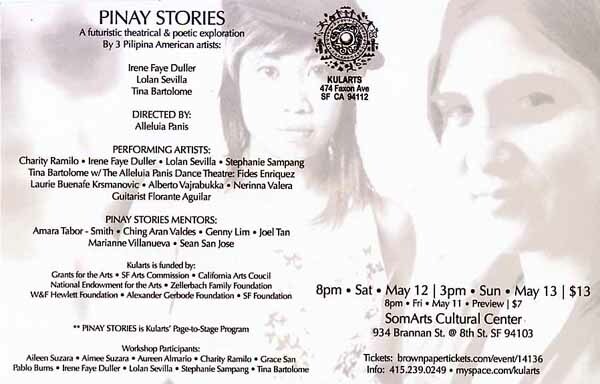 My wife is performing at SomArts Cultural Center on Saturday and Sunday, May 12. and 13. Production is called Pinay Stories and is directed by Alleluia Panis. It’s a futuristic theatrical and poetic exploration by three Pilipina American women. 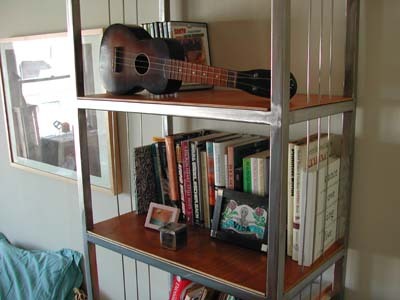 I finished my second bookshelf. Network Solutions switched it’s top level certificate authority from GTE to AddTrust.. That’s fine if your web application doesn’t use any applets. AddTrust is not included in Java certificate chain prior to Java 1.5. 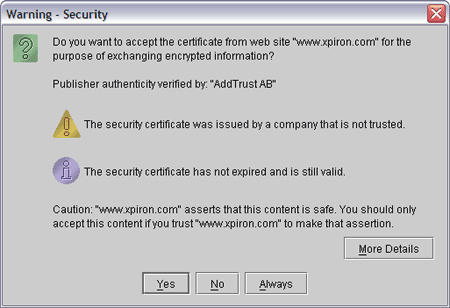 So, if your clients have old version of java installed, they will keep getting a security warning each time they invoke applet on your secure web page. It’s not documented anywhere on Net Solutions’ site.